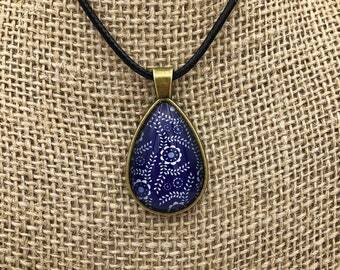 I’ve taken some vinyl nail wraps that I loved too much to actually wear, and encased the beauty forever in this pendant! For now, only one or two pendants will be made from each design. 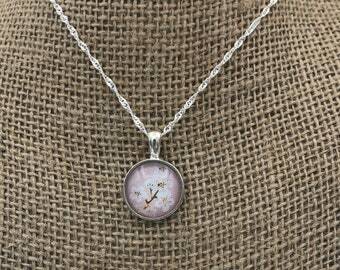 Price includes a beautiful silver 20” chain. 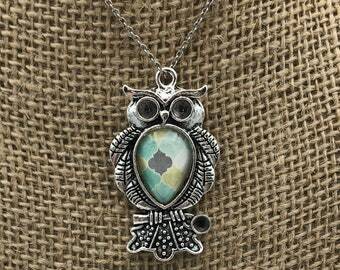 If you’re looking for the perfect gift for your wife, girlfriend, mom, sister, best friend, teacher, neighbor, or YOURSELF... this is it! Treat yo’ self! Or it’s also perfect for the one person on your list that already has everything! Silver Circle Pendant - Unique Handmade Vinyl Art - Wearable Art! 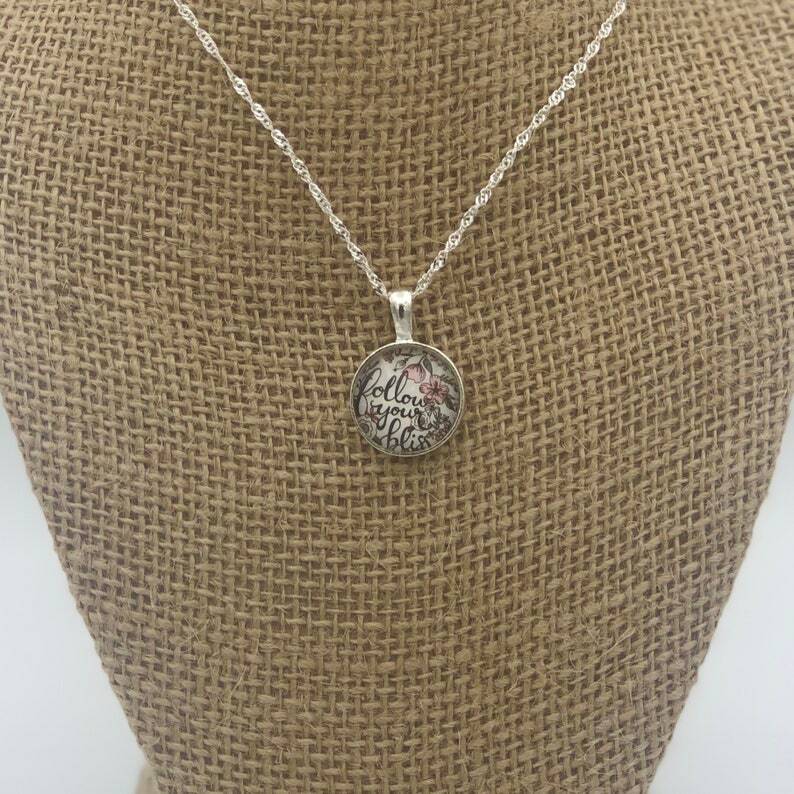 Silver Circle Pendant - Unique Handmade Vinyl Art - Wearable Art! - Dragon! 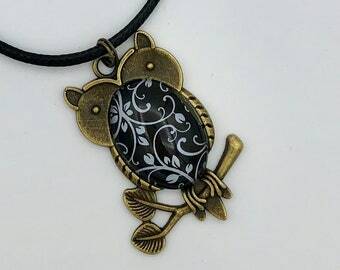 Bronze Necklace - Unique Handmade Vinyl Pendant Art - Wearable Art!! It's very beautiful and made well. 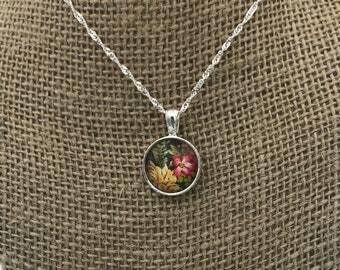 Silver Circle Pendant - Unique Handmade and Hand Painted - Wearable Art! 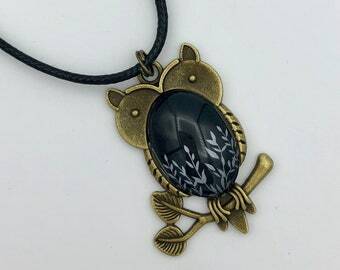 Bronze Owl Necklace - Unique Handmade Vinyl Pendant Art - Wearable Art! 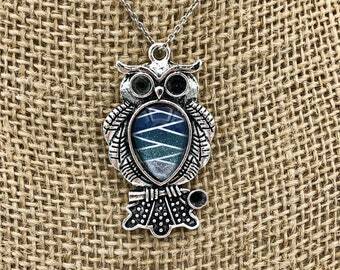 Silver Owl Necklace - Unique Handmade Vinyl Pendant Art - Wearable Art! !